Insurance claims for back and neck injuries often turn into fiercely fought cases. It's easy for the insurance company to find a doctor who will dispute the extent of the back injury or the cause. In the case of a workplace injury, if you are told to go back to work with no or limited work restrictions or if your Workers' Compensation benefits are suspended or terminated after a back or neck injury, you should seek legal help as soon as possible. Protect your legal rights. Under South Carolina law, you must report workplace injuries, including progressive injuries or repetitive stress injuries, to your employer within 90 days of the injury or show a good reason for not making the report within that time period. 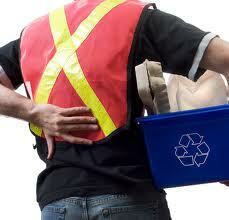 What does this mean for back and neck injuries that occur on the job? Be especially careful if you begin to develop back pain or neck pain and you think it could be related to the work you do. Get independent medical help as early as possible, and inform your doctor if the pain becomes worse. Call us with your questions and concerns about on-the-job back or neck injuries. To make an appointment, call 1(888)821-0247.